Join us for the first of our Summer Shabbat Services, led by members of the community, including member rabbis and Rabbis Shawn Zevit and Yael Levy. Come, delight in the Sabbath with your community. 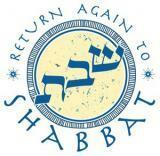 Dwell in the peace of Shabbat.